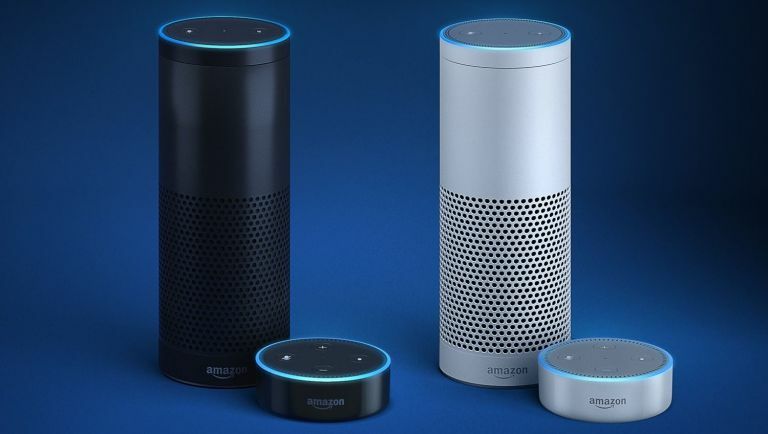 Amazon's Echo voice-controlled digital assistant speaker is coming to the UK. The Amazon Echo UK release date is 28 September, with pre-orders now live. The Amazon Echo price is £149 and will have £50 off for Amazon Prime customers in the UK for the next 48 hours. Also available to pre-order is Amazon Echo Dot to control other smart home devices with your voice - it's an all-new unit with a more powerful voice processor.The Echo Dot release date is 20 October and price is £49. Dots will also be available in 6 or 12 packs at reduced rates. Think Apple's Siri in a Bluetooth speaker and you're not far wrong - the six-microphone Echo taps into all the knowledge on the web, so can quickly get weather forecasts, word definitions, historical dates, news headlines, and so on in response to a voice command. Say "Alexa" - that's the name of the cloud-baseddigitalassistant - followed by your question and chances are the Echo will know what you're after. It goes way beyond search though: you can use the Echo to order items from Amazon, stream music (it'a a 360-degree speaker), listen to audiobooks, wake you up in the morning and more. "The most natural of user interfaces is voice," said Amazon's device chief Dave Limp at the UK launch event. "Our brains are wired to be great at language and voice, but it turns out that it's super hard for computers to do it." Echo features beamforming technology so it can amplify the source of your voice while minimising the noise found in our homes - it does this using the multiple mics in the device. "We have a team of over 1,000 people who are working to make Alexa better, including many in the UK." Alexa has been given a UK voice and understands localisations such as a pint, who Spurs are and how you spell 'colour'. UK content partners include Sky Sports and News, Jamie Oliver, Just Eat, Skyscanner and Radio Player. Amazon Echo is available in black and white. Amazon Echo Dot is available in black and white.